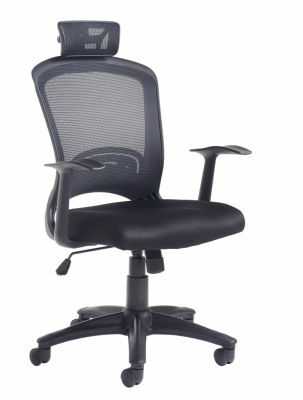 Mesh chair with an injection moulded back and breathable mesh. 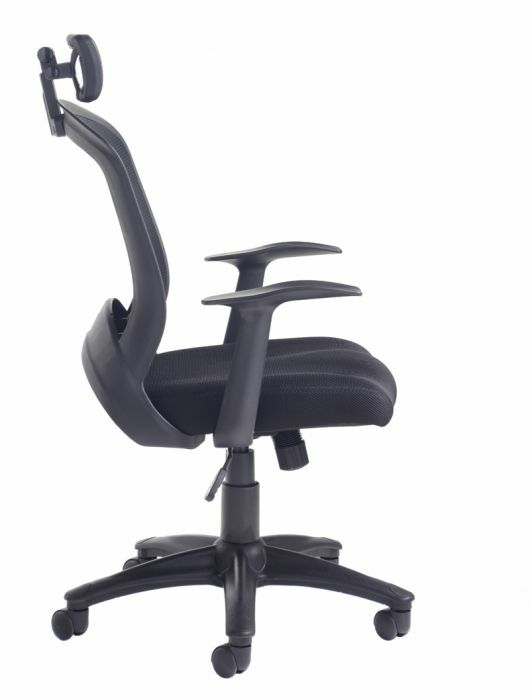 Deep padded seat and pivoting headrest. 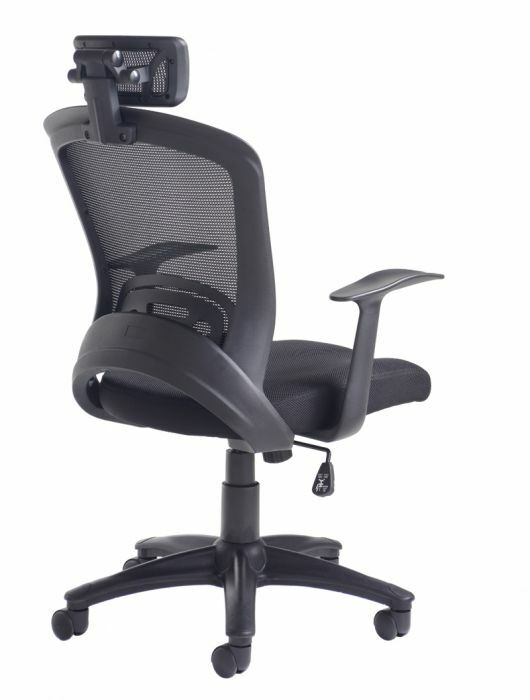 Sculptured fixed T-arms and a Black air mesh seat. Mesh back chair with adjustable head rest. Available from stock for a free next day delivery.